Our fake ice cubes are incredibly versatile. Our artificial ice cubes leave all possibilities open whether for decorative purposes in shop windows, on window sills, for product presentations, in displays in the supermarket or to give a drinks presentation the finishing touch. 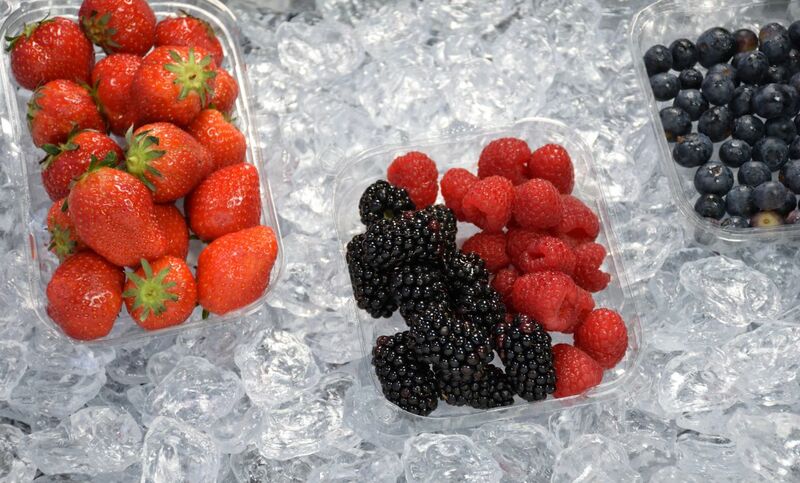 But also for parties, whether in winter or in summer, our artificial ice cubes are an absolute winner. They are also used for promotional campaigns, photo shoots, film and television. Because they do not melt, there is no time pressure. They are also ideal for decorating sparkling wine coolers, vases or bowls. 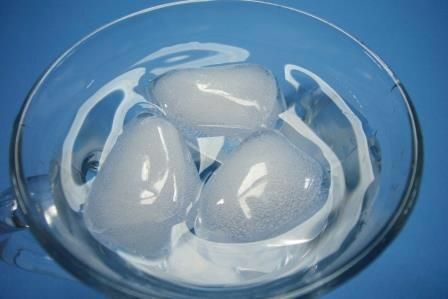 Artificial ice cubes – unique ice effects, sparkling, versatile! 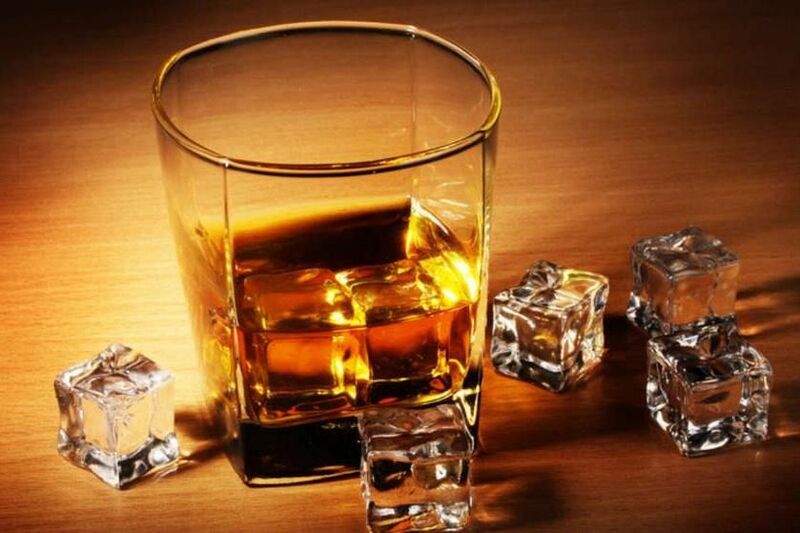 Our ice cubes are made of different materials, have different shapes, sizes, characteristics and structures, covering the most diverse fields of application and leave nothing to be desired. The only thing they have in common is that they are of high quality, do not melt and do not chill ;-)! 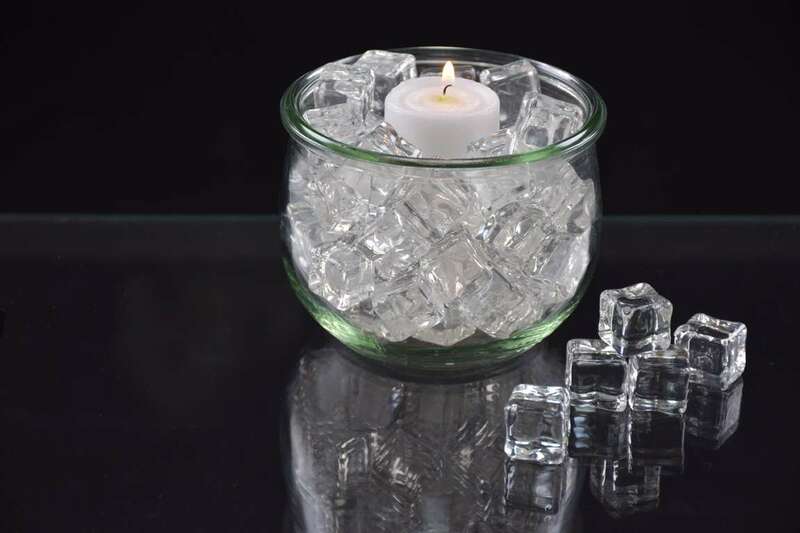 Whether made of glass, acrylic or plastic, our fake ice cubes allow you to create the perfect decoration. The fascinating reflection of the artificial ice cubes can lend a festive, sparkling or an icy, clear mood depending on the design and light effect. Our fake cubes allow you to let your creativity run wild and thus create an unusual winter decoration or product presentation with great ice effects! Our decorative ice pieces are approx. 20 - 30 mm, very fancy, crystal clear and are also excellent as eye catcher as a table decoration. With them you can set great emphasis! Our artificial ice chunks are available in two different sizes, approx. 30 - 60 mm and in XXL, 50 - 75 mm. They are incredibly classy, crystal clear and create a great reflection. They are a real eye-catcher for every winter decoration and exceptionally striking. They can be easily combined with the synthetic mini ice chunks. Our artificial crushed ice is available in two sizes fine and coarse. 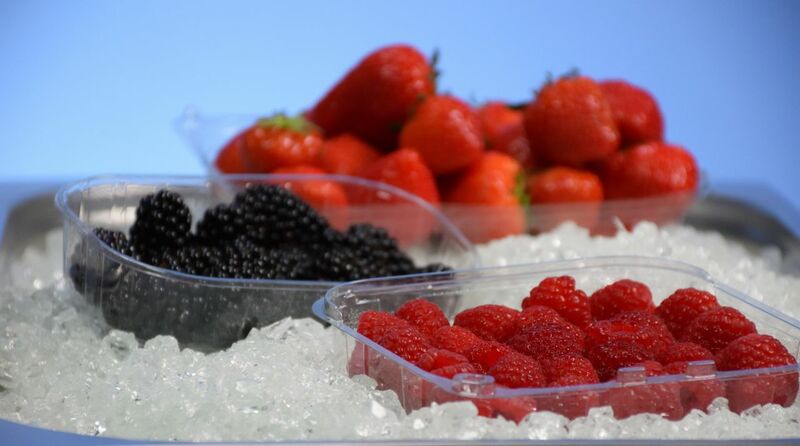 It is made of pounded glass and is a very popular and willingly used artificial ice product in supermarkets displays or in photo shootings for the food & beverage industries. Our floating plastic ice cubes are a real eye - catcher. 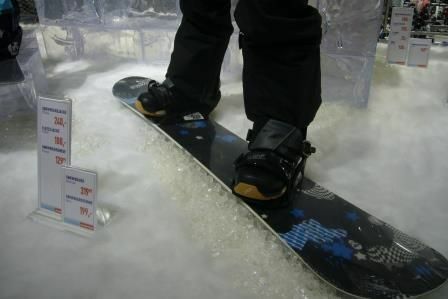 They float in water and attract attention as this is an unusual feature for fake ice. 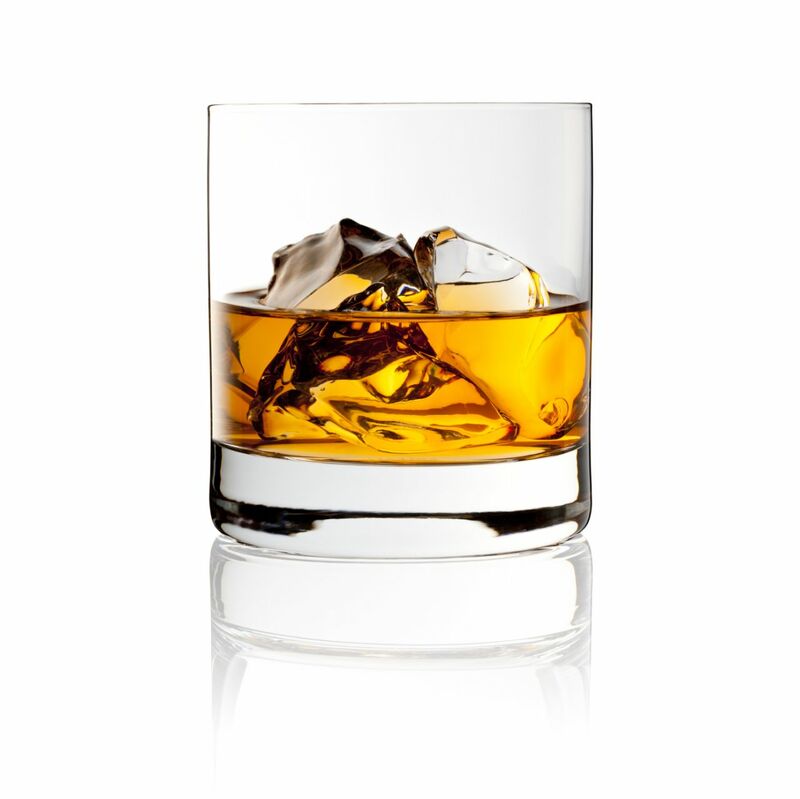 Our clear ice cubes are available in two sizes 20 and 28 mm. They are very similar in their basic form to the plastic ice cubes, but differ significantly in their structure. With their sparkling and clear ice look they attract attention and are therefore in great demand in all areas. 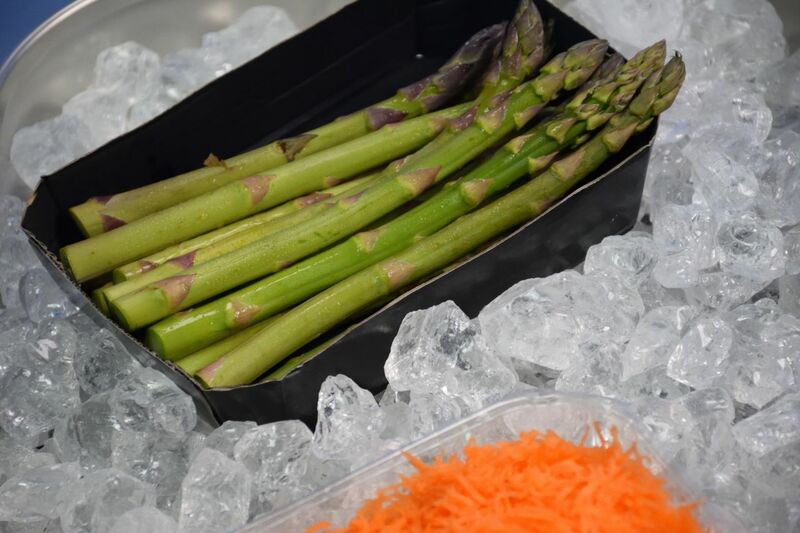 Our opaque ice cubes are available in two sizes 15 and 30 mm. They leave nothing to be desired with their deceptively genuine ice look and are in great demand in a wide range of areas. Our tumbles ice pieces are characterized by their special structure and are therefore unique. 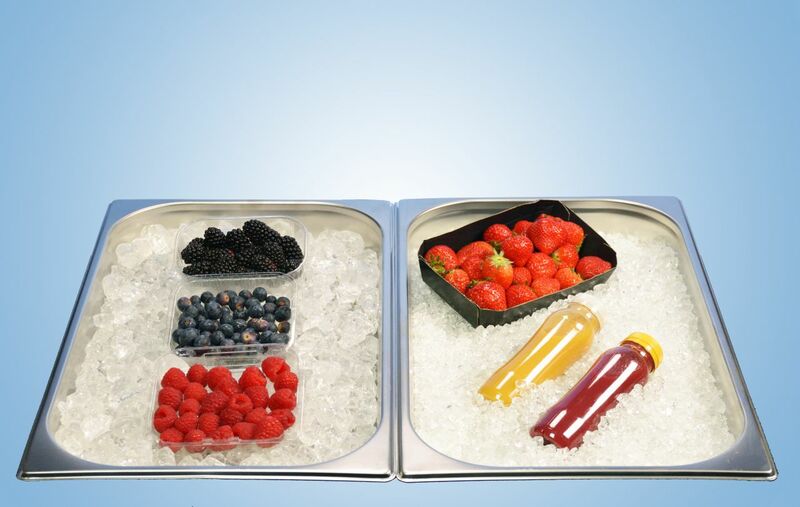 They are especially suitable for food & beverage presentations, whether in the supermarket or during the photo shoot.